For limited edition projects, Revere Book has become the new go-to paper for many due to its performance & consistency. Its supple feel and superb folding and binding characteristics have made it very popular for book printing and letterpress. 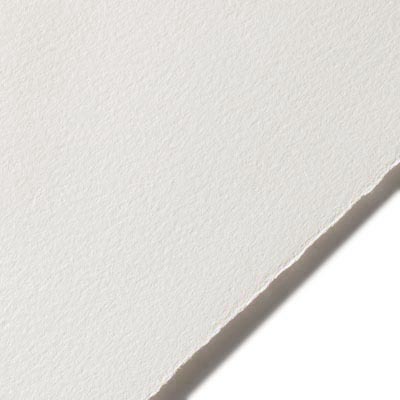 The surface has a very slight vellum texture making it ideal for all drawing techniques including graphite, colored pencil, pastel and charcoal. Revere Book is internally sized with modest surface sizing so it will fare well for silkscreen and offset lithography without compromising the sensual feel and integrity of the sheet. This book paper is part of the Revere range of 100% cotton printmaking & drawing grades produced by Cartiere Magnani, one of the oldest mouldmade mills in Europe. Magnani's rich history includes making paper for Napoleon's wedding invitation to Maria of Austria, Michelangelo, Leonardo Da Vinci (who was born 2km from the mill), Picasso's watermarked sketching paper, Annigoni's drawing paper, DeChirico, Modigliani and many others. Today the mill continues the tradition of producing fine cotton papers for some of the world's most renown artists, printmakers and limited edition book printers utilizing 21st century technology and skills.